We’re still thinking about camp. Admit it, you are too. So as the days of summer slowly wane away (some of us have already started school this week!! ), we thought we’d take a look back at a very special tradition at some of our Maine camps – the Mother/Daughter & Father/Son weekends! At the end of a camp session, some of our MCE member camps offer a few days for parents and their children to experience summer camp together. It’s awesome! One of our Maine camp moms, herself a Maine camp alumna, shared some memorable experiences with her daughter after traveling to Maine. First up? Waterskiing! Part of the reason this is so cool is the generations factor – not only are mothers and daughters, fathers and sons, enjoying the experience of camp together, but many Maine summer camp alums are now sending their kids for their own magical summers. It is an incredible bonding opportunity, both between kids and their parents, as well as all the other campers and their parents, who will likely come back year after year. It’s also a great opportunity to learn new skills or rediscover old ones, stuff adults don’t always get the opportunity to do after school and camp and college. 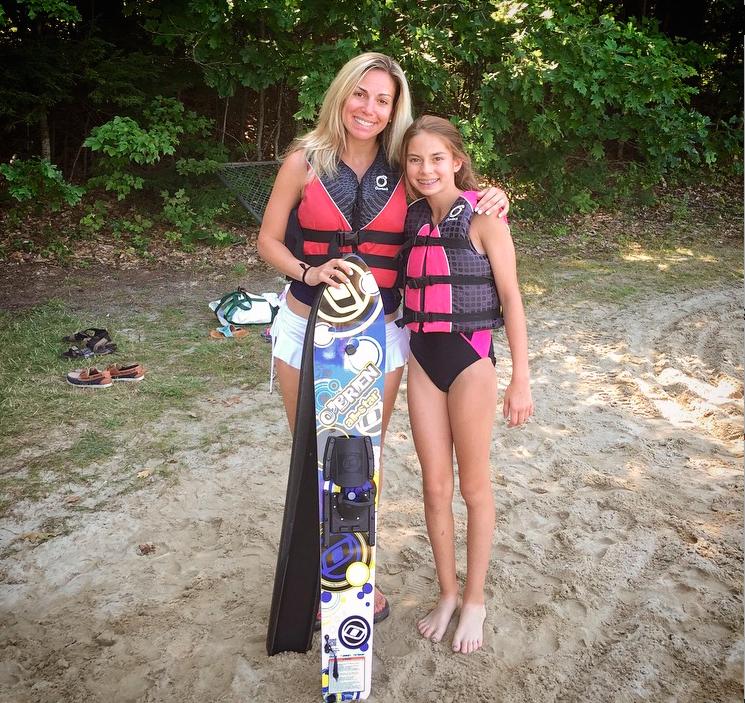 Parents can water ski, do the ropes course, tennis, swimming … the list goes on and on. After she water-skied, the Maine camp mom mentioned above tried archery (and even got a bullseye on her first arrow! ), the ropes course, and tennis, loving every minute. Lastly, parents and campers will always have a place to go back to, year after year, to experience old traditions and new experiences. Parents can reconnect with their own longtime camp friends, as they watch their kids forge new relationships. Maine will always be their summer home. What would you most like to experience at camp? Water skiing? Making s’mores? Swimming? Campfires? We want to know!